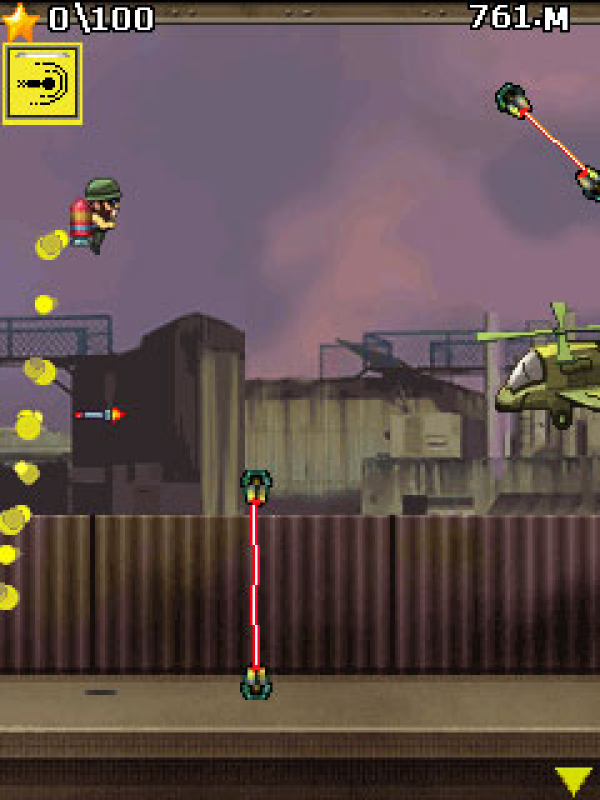 This Soldier is geared with a powerful jetpack! 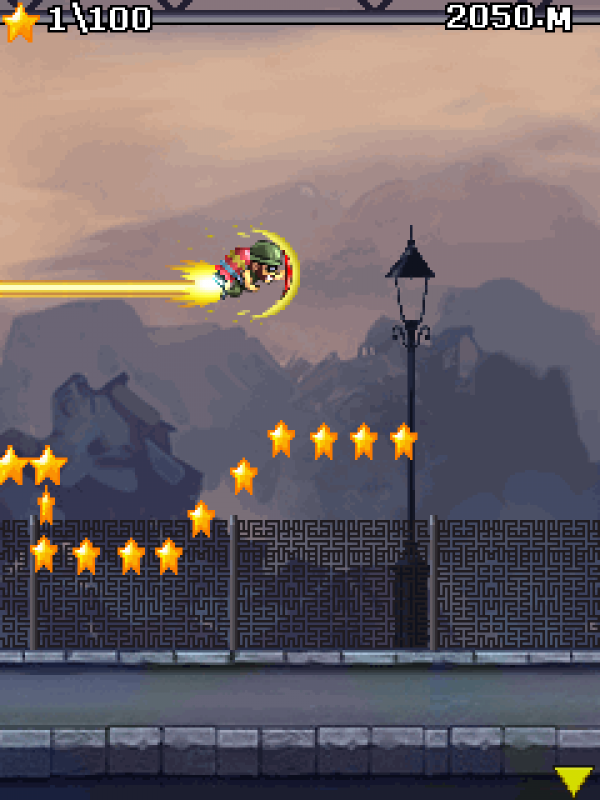 Help him to avoid many obstacles and play in challenge mode as well as quick play mode. This Soldier is geared with a powerful jetpack! 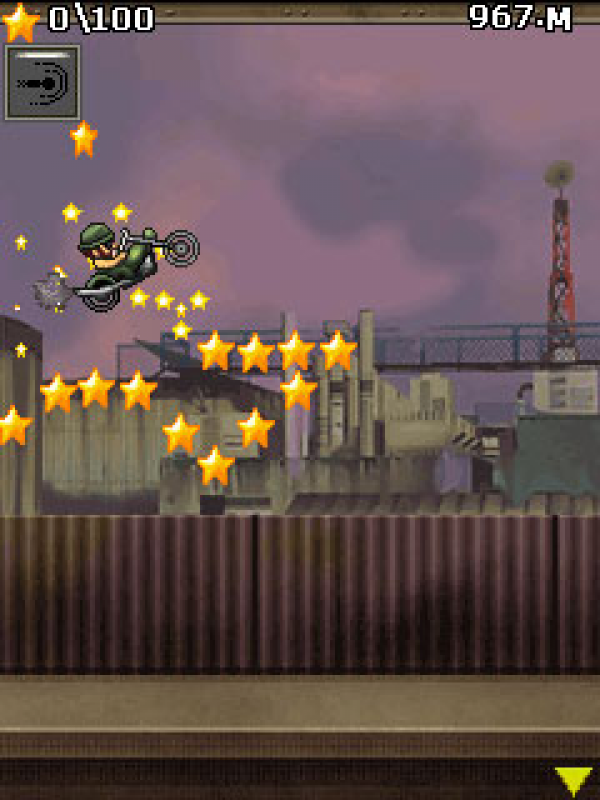 Help him to avoid many obstacles and play in challenge mode as well as quick play mode.You will need good reflexes to avoid all the obstacles in your way including Sparks, Air mines and even Chopper.Get different Vehicles like Bike, UFO also Gravity Capsule or enter the supersonic mode by collecting coins. This will help you to travel more distance and gain higher place on the online leader board!Totally addictive gameplay! Get it on your device today!